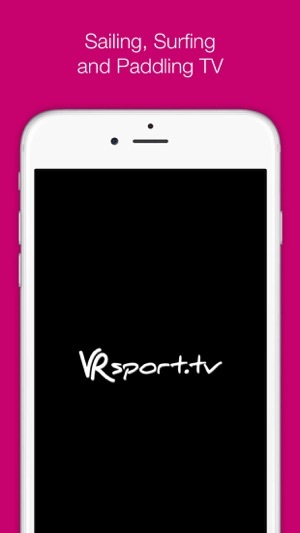 Subscribe to get access to all VRsport TV videos, right on your iPhone, iPad or AppleTV. For existing subscribers, you can simply sign in to your account. No need to resubscribe. 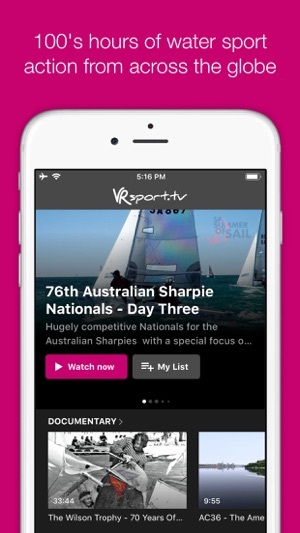 VRsport TV is the only dedicated channel to watch the best watersport action from around the globe. Exclusive event coverage with The Main Event, documentaries, racing wrap ups and loads more. 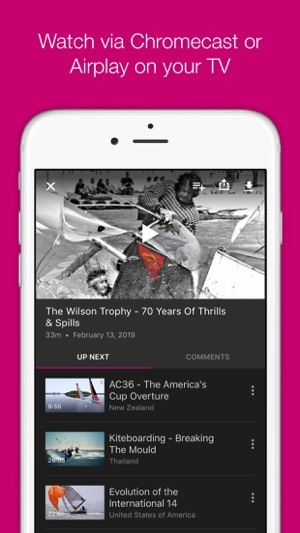 To access all features and content you can subscribe to VRsport TV on a monthly or yearly basis with an auto-renewing subscription right inside the app. * Pricing can vary by region and will be confirmed before purchase in the app. In app subscriptions will automatically renew at the end of their cycle.